To fit tyres sizes 19-23mm. Great tubes with perfect valve lenght for 34mm deep rims. Very excellent value for money. I highly rate this product. Excellent tubes, especially good that they have a smooth valve stem - really helps with pumping them up because the pump never gets hooked up on the threads which also means the rubber in the pump will last longer (and create a better seal). I've been using Vittoria tubes since I discovered them 2 years ago. These tubes have outlasted many other brands of a similar price range or more. Not much to say about these. Light weight and what I found to be an optimal size stem for my 31mm deep wheels. Very good lightweight tubes with excellent rolling resistance. These are some of the best all around tubes. They hold air for months. Never leave home on a long road trip without them. They stay up for a long time without having to add more air. Have used these before solid tubes! Good all rounder - respectable weight and performance for the price. Great quality and smaller than normal tubes thus easier to fit into saddle bag. Smooth brass colored presta stem. They seem to hold air well. Using in a 700 x 25 tire. Works great, the same any other tube I've tried. The long valve is good for my carbon rims. Excellent tube, ideal for use with track pumps as it is easy to disconnect without applying too much pressure to the base of the valve and causing it to rip . Used this winter with a pair of old Gp 4000,s two punctures in 5000 plus miles ! 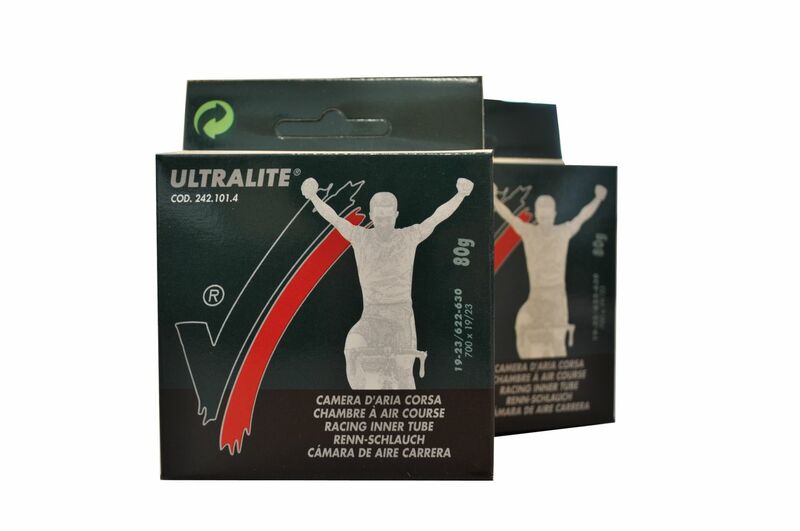 Have used Vittoria tyres and tubes for a number of years and always found the quality second to none, the ultra lite inner tubes are really well made and the price is very reasonable for these excellent inner tubes. Their light weight (lighter than most other brands) makes them perfect for carrying in my under saddle bag.